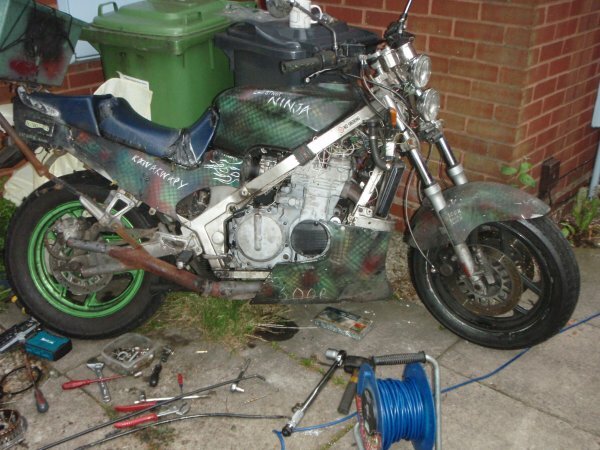 Andy's award winning rat Kawasaki. Due to a misunderstanding twixt foot pounds and inch pounds, he ended up having to change the clutch basket. Oh dear, the centre nut just won't come undone . . . .good job I had an electric rattle gun with me. One sorted clutch and a new cable later, and the job's a good 'un.